Suzanne Norman (snorman@sfu.ca) is a lecturer in the Publishing Program, teaching courses in book publishing, digital publishing and cultural entrepreneurship. She is the director of the Publishing Workshops at Simon Fraser University, and the director of Special Initiatives in the CISP. A graduate of Memorial University of Newfoundland (BA) she also holds a Post-Baccalaureate diploma in Communications and a Master of Publishing degree (both from SFU). 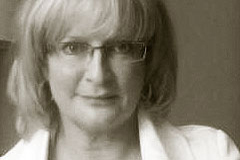 Over the years she has worked as an investigative journalist, a newspaper editor, and an editor of young adult fiction.